Rebuking Huawei’s claim that it is a harmless provider of consumer telecommunications services, British cybersecurity specialists on Thursday ruled that the firm’s inclusion in 5G network facilitation would be dangerous. This supports active U.S. efforts to exclude Huawei from global 5G networks. China is aggressively resisting the U.S. on this, because Huawei is its primary intended proxy for cyberespionage in the 21st century. But this report, under the auspices of Britain’s NSA equivalent, is especially important for two reasons. First, because it comes from the NSA’s top foreign partner and some of the world’s top cybersecurity experts. Second, because it represents forensic insight into how China would use Huawei to conduct espionage operations. The number and severity of vulnerabilities discovered, along with architectural and build issues, by the relatively small team… is a particular concern. If an attacker has knowledge of these vulnerabilities and sufficient access to exploit them, they may be able to affect the operation of the network, in some cases causing it to cease operating correctly. Other impacts could include being able to access user traffic or reconfiguration of the network elements. Here, “access user traffic or reconfiguration of the network elements” should translate as “use 5G network access to turn the network or significant elements therein into one big Chinese signal intelligence targeting and collection program. But the report shows that China is trying to be crafty: fixing limited issues to gain a pretense of concern for western security, but simultaneously creating new backdoors. Fortunately, this report shows the gambit is failing. Reports like this one will help the U.S. and U.K. educate their allies as to the risks of entertaining Huawei’s sour claim of mutual interest. Huawei is a Chinese intelligence cutout in foundation, intent, and action. It must be restricted as such. But the recently announced deal for 300 aircraft may not be as significant as it seems at first glance. In early 2018 — two months after Boeing (NYSE:BA) announced a deal to sell 300 jets to China — French President Emmanuel Macron announced that China was close to finalizing orders for 184 Airbus (NASDAQOTH:EADSY) A320-family planes. He also said that France was hoping to strike additional deals to sell A350 or A380 widebody jets to China. However, 2018 came and went with no order. But on Monday, in conjunction with a state visit to France by China’s President Xi Jinping, China placed an even bigger order for Airbus jets than the one discussed last year. While there are numerous different state-owned and private airlines in China, the government has ultimate authority over aircraft orders. China periodically places large orders with Boeing and Airbus, and it tends to use these orders as a “carrot” in political and economic negotiations with those aircraft manufacturers’ home countries. Under the deal announced this week, China plans to buy 300 Airbus aircraft — 290 A320-family planes and 10 A350s. Neither party specified which variants of these aircraft families will be acquired. In all likelihood, details like that are still being hammered out: The two sides have only reached a “general terms agreement” thus far, not a binding firm order. Airbus and China have announced an order for 290 A320-family jets. Image source: Airbus. The deal with China should help the European aerospace giant get its order backlog moving in the right direction again. In the first two months of 2019, Airbus’ backlog shrank, as it booked new orders for just four aircraft, offset by 103 cancellations. China’s big Airbus deal comes in the shadow of the worldwide grounding of Boeing’s 737 MAX jets, following two fatal crashes in the span of five months. Aviation regulators in China have been among the most aggressive in addressing this safety crisis. China was the first country to ground the 737 MAX, and it has stopped taking applications for airworthiness certifications of new 737 MAX aircraft. Chinese regulators have also made it clear that they will independently evaluate any design changes proposed by Boeing, rather than just following the FAA’s lead. The combination of the big Airbus order and China’s response to the Boeing 737 MAX crashes might make it seem like Boeing is in trouble in the fast-growing Chinese market. But here as elsewhere, any dip in orders for the Boeing 737 MAX is likely to be temporary. First, China’s aviation market is massive and growing rapidly. Airbus expects China to need an additional 7,400 aircraft over the next 20 years, including more than 6,000 single-aisle planes (like the A320neo and 737 MAX families). Boeing’s estimates are even more bullish. Airbus alone cannot meet all of that demand. While a homegrown Chinese jet will soon be available as a third option, it will take a while for production to ramp up — and in any case, it’s not as technologically advanced as the 737 MAX and A320neo families. Third, as noted above, aircraft orders are often used by China as a bargaining chip. With China eager to roll back U.S. tariffs on various Chinese imports, a long-term move away from Boeing jets — and the 737 MAX in particular — would be hard to pull off. Thus, once Boeing demonstrates that it has addressed any safety vulnerabilities for the 737 MAX, it could be in line for another big order from China. Airbus should be pleased about landing a big order from China. But the deal announced this week doesn’t reflect a change in the balance of power in the aircraft manufacturing industry. 1State Key Laboratory of Continental Dynamics, Shaanxi Key Laboratory of Early Life and Environment, Department of Geology, Northwest University, Xi’an 710069, PR China. 2College of Resource and Environmental Engineering, Guizhou University, Guiyang 550025, PR China. 3Department of Geology, Pomona College, Claremont, CA 91711, USA. U.S. stock futures fell on Friday, pointing to a fifth straight session of losses for Wall Street, after a slump in Chinese exports piled onto concerns about slowing global growth. Investors are also braced for U.S. jobs data due later. futures dropped 37 points, or 0.5%, to 7,019. With one session left, the Nasdaq is facing a 2.2% drop for the week, while the Dow industrials and S&P 500 are off around 2% each. Tumbling 4.4%, Chinese stocks logged their worst one-day percentage drop since October on Friday, after the nation reported a 20% drop in February exports on the heels of a 9.1% gain in January. Officials attributed the plunge to sagging demand and some distortions from the Lunar New Year holiday. But economists said that even adding those two months together, the data looked weak. with a rare sell rating, citing concerns over valuations, according to Reuters. Those shares slid 4% in Hong Kong, after falling as much as 10% at one point. 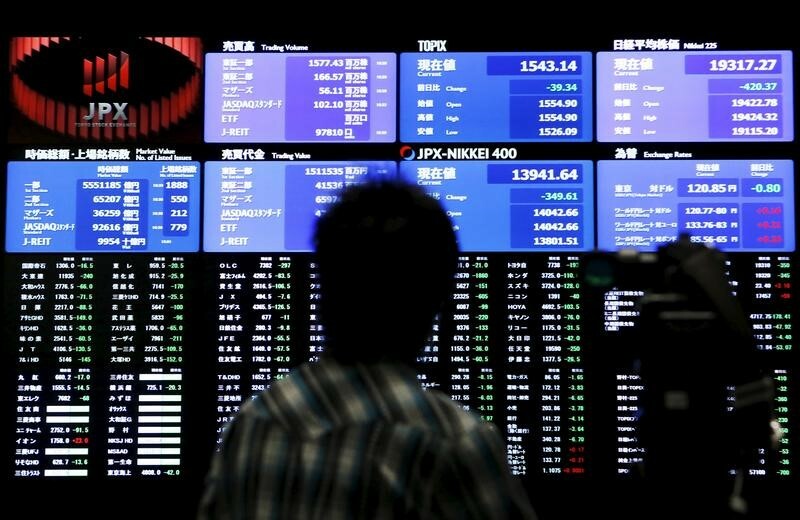 China’s news adds to global growth concerns, with investors still reeling from a more dovish-than-expected European Central Bank, which announced new measures to support a slowing economy on Thursday. That included fresh long-term loans to European financial institutions and a surprise pledge to hold off on any interest-rate increases until at least the end of the year. Other data on Friday showed German manufacturing orders fell sharply in January, though December data was revised upward. Investors are also bracing for U.S. jobs data Friday, with February nonfarm payrolls due at 8:30 a.m. Eastern Time, alongside the unemployment rate and average hourly earnings. Economists polled by MarketWatch are forecasting the creation of 178,000 new jobs, and a downward revision for January’s 304,000 spike. And uncertainty was lingering over a U.S.-China trade deal. Washington and Beijing have yet to set a date for a summit to resolve their trade dispute, the U.S. ambassador to China, Terry Branstad, said in an interview with The Wall Street Journal. Branstad said negotiators need to further narrow the gap in their positions, including over enforcement of a potential deal, before any summit arrangements are made. prices fell along with equities.